With Valentine’s Day around the corner, what better time to share your reasons for loving the UC San Diego Library. Send us a love letter explaining your affectionate feelings or let us know it’s time to break up by detailing your grievances. 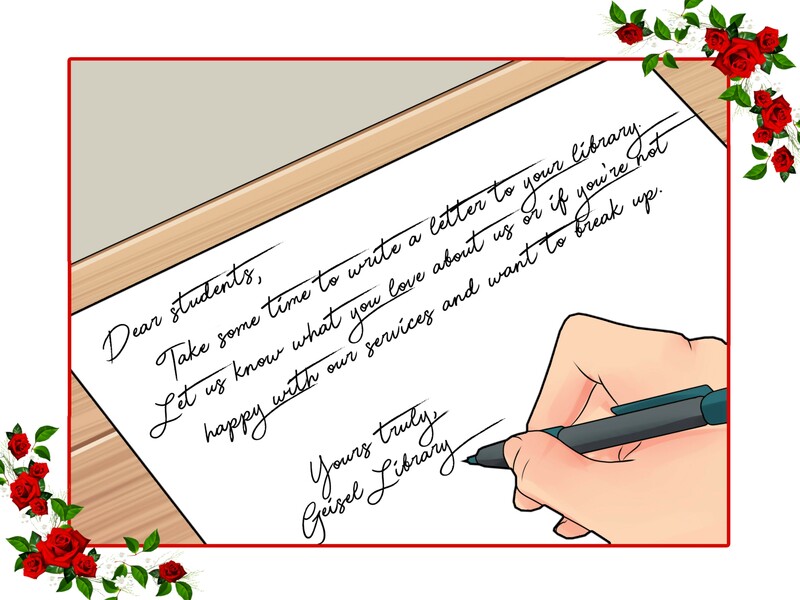 Why write a letter to the Library? Your letters will help us understand your needs and experiences; how you use the Library and what you value about our offerings.